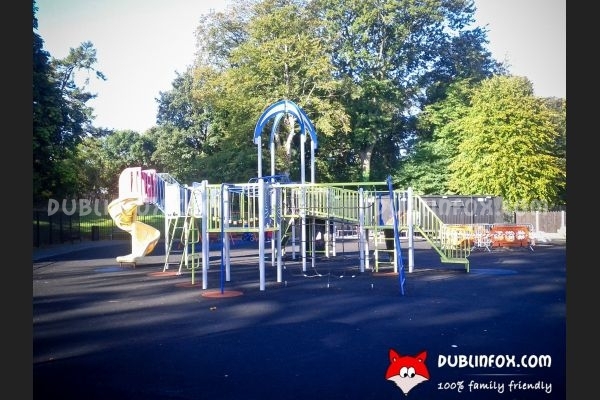 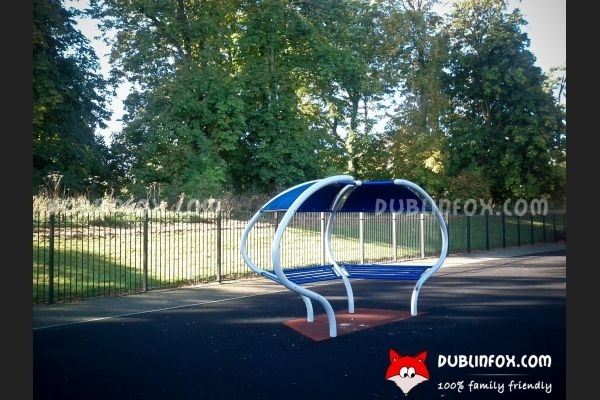 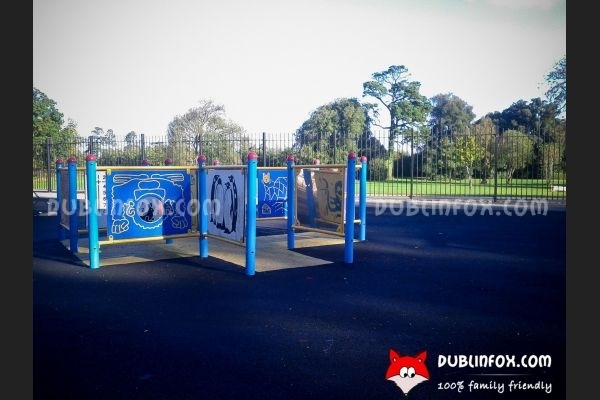 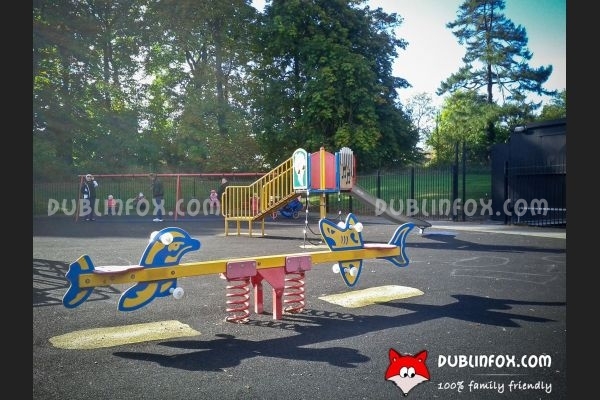 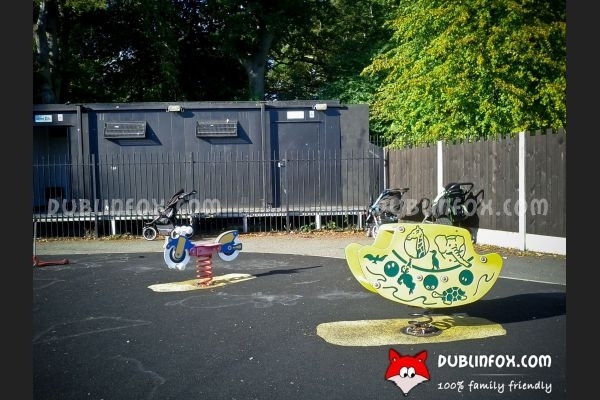 The playground in Santry Demesne is a medium-sized one, full of interesting playing equipment. 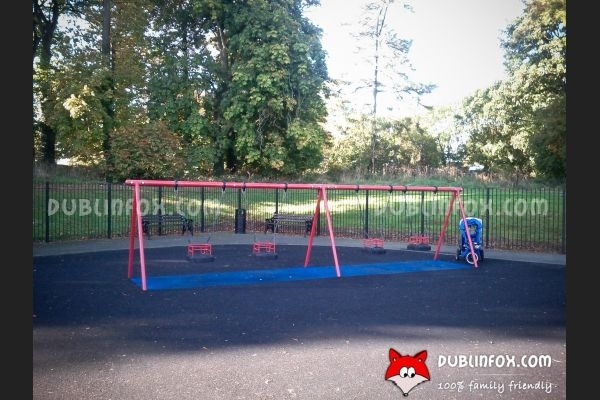 Although it takes a few minutes to reach the playground from the parking area, the playground is definitely worth visiting, as it is a lovely one with swings (there are 4 baby swings, which is great), springers, multi-play units and a see-saw, an activity wall for toddlers and a special balance-swing for older kids. 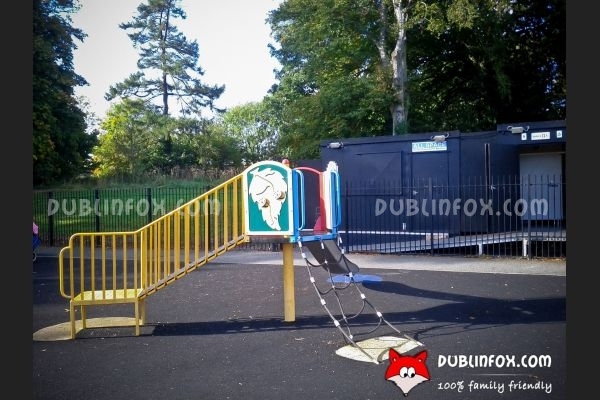 At the back of the playground, there are some toilets, which is very handy, especially if your little one is in the middle of toilet-training. 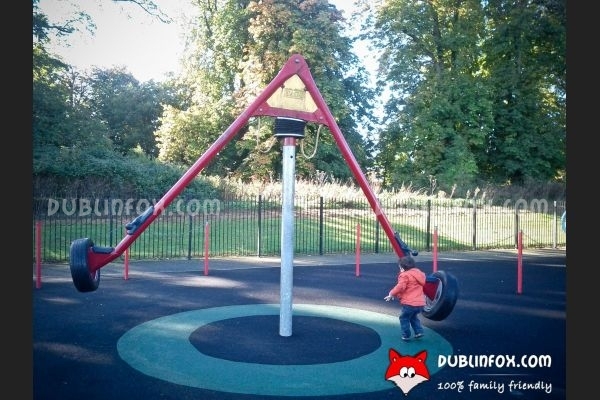 (TBH it is sad, that most of the playgrounds do not have this facility in Dublin.) 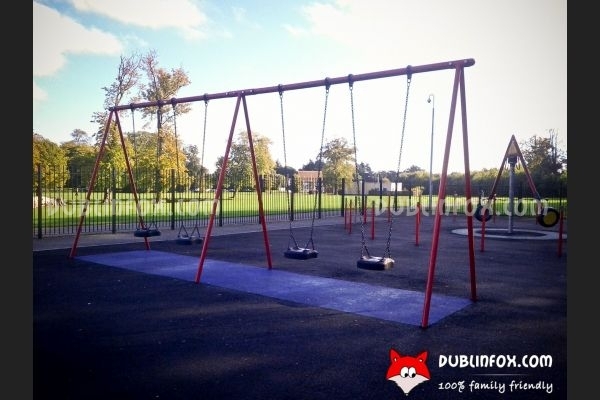 After visiting the playground, you can take a walk in the gorgeous Santry Demesne. 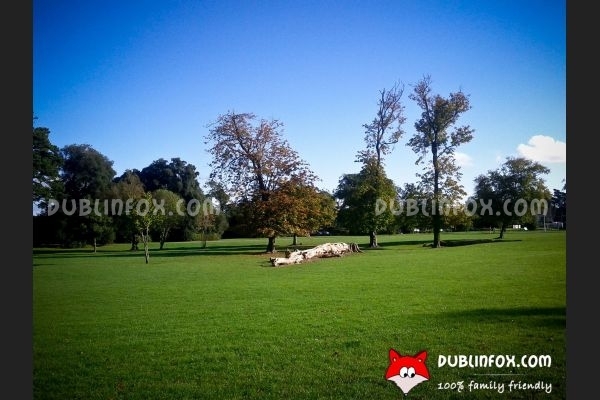 With its walled garden, ornate pond, walkways and paths, this demesne is a perfect place to spend a beautiful day out with your kids.